Please use a computer (not phone) for best experience. Open map on full screen. Click each dot on map to view year built, number of floors, number of units, upgrading programmes, typical floor plans, chances to get SERS, etc. Blue = Blocks built by SIT (1927-1960). Pink = Blocks built originally without lifts stopping at every floor and kitchen refuse chute, first series (1960-1982). Red = Blocks built originally without lifts stopping at every floor and kitchen refuse chute, second series (1981-1993). 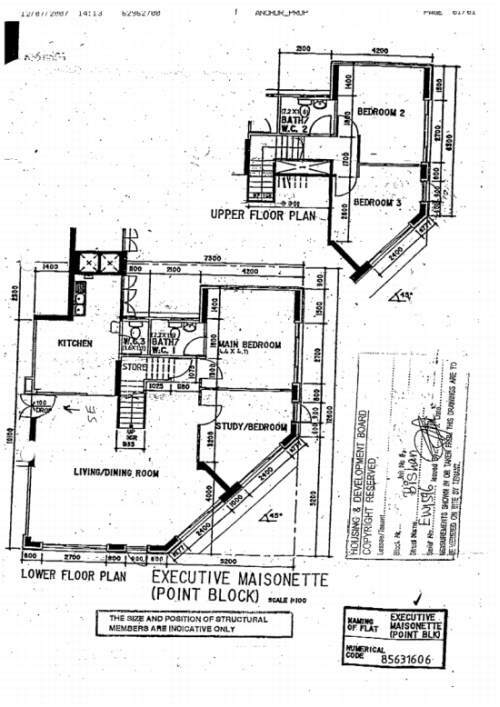 Brown = Blocks with centralized refuse chute and lifts stopping at every floor (1992-1999). Yellow = Blocks with household shelter (1998-2007), including SERS replacement blocks (1999-2006). Green = Blocks with household shelter sold via BTO (2005-present), DBSS (2008-2015), SERS (2008-present). Cyan = Blocks sold via BTO under MOP or under construction with estimated completion up to 2018. White = Blocks sold via BTO under construction with estimated completion 2019 or later. Gray = Blocks sold via DBSS, SERS, SBF, under MOP or under construction with completion date unknown. 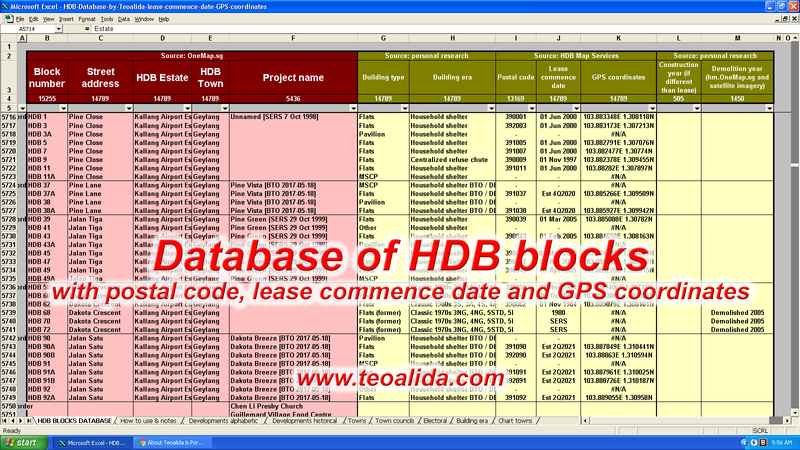 I compiled HDB block information in Excel format and since 2015 I offered for sale on HDB Database page, being purchased by several real estate agencies as well as telecommunication and home insurance companies. The price is a bit too high for ordinary people who just need to view info about several blocks. Now you can search here information about desired blocks for FREE! Initially made drop-down boxes in July 2017, then I figured out how to display block information in Google Maps in September 2017. If you like old drop-down boxes, see HDB block search. Click dots on map to see details about each property such as address, completion year, tenure, number of units, developer, etc. If you want data in Excel format for commercial use, you can buy the Condo Database. 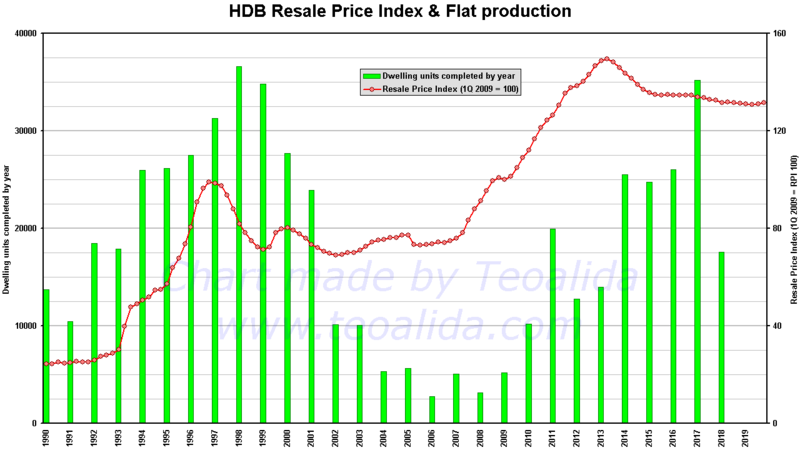 HDB Resale Price Index DOUBLED from 2007 to 2013, dropped slightly to 2015 then stabilized. However, due to high supply of flats completed in 2014 that enter on resale market in 2019, prices are likely to drop more in the coming years. Actually prices are rising in some towns while dropping in other towns. I sourced data from HDB Resale Statistics and compiled an Excel file showing HDB price trends since 2007, and based on it I created the below charts. The gaps in lines in Excel chart are because HDB do not provide median price if less than 20 flats were transacted per quarter. Especially in case of Executive flats, it do not display prices on Bishan and Queenstown (towns famous for $1 million HDB flats) because they do not have at least 20 transacted flats except in Q2-Q3 2008. As you can see in the chart, Singapore HDB flat prices DOUBLED in 2008-2013 due to insufficient supply of new flats. Would you like prices dropping next 5 years to the early 2000s value? Think about owners who worked hard to pay current flats which will lose half of value! Would you like prices growing so you and everyone else can make profit selling? Think about your kids, how hard they will need to work to buy their first home! During 1990s, the location was not so important. Bishan and Bukit Timah had most expensive resale flats, but a thing less known by the young generation, is that Choa Chu Kang and Pasir Ris were among the most expensive estates. Mature towns like Queenstown, Toa Payoh and Ang Mo Kio were cheaper. Larger flats types had higher price per square meter or feet than small flats, in 1990-1992 average resale price of Executive flats being double than average resale price of 4-room flats, at an area 40% larger. HDB stopped deciding the prices of new apartments based on construction costs, instead they decided based on market prices. Prices of resale flats and new flats entered in a vicious circle, rising 50% in just 6 months of 1993 and tripled to 1996. The price gap between small and large flat types has decreased. The 1997 Asian Crisis came when 80.000 flats were under construction, demand for new flats felt sharply. leaving HDB with about 40,000 unsold completed flats in the year 2000, mostly large flat types. 2003 SARS outbreak affected economy too, so 5 years were necessary to clear the stock of unsold flats. Queue selling system (Registration for Flat) was suspended in 2002, Build-To-Order was introduced to prevent oversupply, and Walk-In-Selection was used temporarily to clear the stock of unsold flats. Old (mature) estates were not attractive, so HDB launched various upgrading programmes and Selective En-bloc Redevelopment Scheme to make them attractive again. 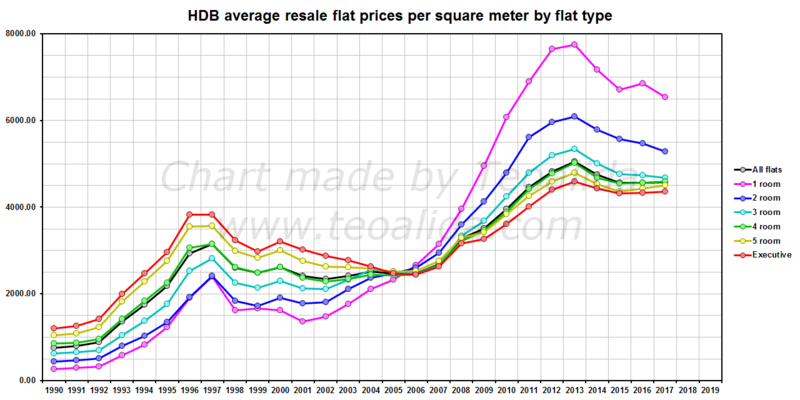 Resale flat prices in old estates (where most 3-room are located) started rising in 2002, while in the new estates they continued to fall until 2006, Executive flats having biggest fall. Price per square foot between small and large flat types equalized in 2005. As the stock of unsold flats vanished, Walk-In Selection ended in 2007 and was replaced by Sale of Balance Flats that is only twice per year thus the battle is 6 people per each flat. BTO became main mode of flat supply. People who cannot wait 3-4 years construction time for BTO and fail at SBF, need to go in resale market. Resale prices started rising. Prices grew faster in pre-1980 estates due to upgrading programmes fever of SERS, bringing Marine Parade, Queenstown, and Toa Payoh in line with Bishan and Bukit Timah. Pasir Ris had lowest price growth. Singapore economy recovered in late 2000s but HDB failed to anticipate, it ramped up the BTO supply too late and too slow, they offered 5500 BTO flats in 2007, 7800 in 2008, 9000 in 2009 (global recession), 12000? 16000 in 2010, 22000 25000 in 2011, 25000 27000 in 2012, plus DBSS flats and Executive Condos. (strikethrough numbers are initial numbers announced at beginning of year). Rising supply of BTO became visible in 2012, a small reduction in resale prices growing rate. HDB lowered minimum application rate for BTO to be built from 70% to 50% in 2011, but since mid-2000s to 2013 no BTO had application rate under 100% (except elderly Studio BTO flats). Analysts predicted that the prices in Singapore will start dropping in 2012 (example), as they predicted in 2011, 2010 too. In my forecast, resale flat prices will NOT fall even in 2012, but will continue to grow for as many years as HDB refuse to build ahead of demand, forcing us to wait 4 years via BTO! The cooling measures introduced since 2011 such as Minimum Occupation Period lengthen to 5 years for resale flats (does anyone know when 5-year MOP was introduced for new flats?) just made people angry. Stupid MOP cause less flats to enter resale market in the coming years, and the number of people not eligible for buying directly from HDB (for example PR and singles) is growing. Most of BTOs launched in the 3 years 2009, 2010, 2011 been completed in only 2 years 2013-2014… 25000 flats completed in 2014 alone + 5 years MOP = possible market crash in 2019. I am not saying that prices will not start to fall earlier, but 2019 may have the biggest price fall (if other variables would not exist). One of the cooling measures, 3 year waiting period for permanent residents to buy resale flats, introduced in August 2013, created fear that the housing market may crash. Resale flat prices dropped in 3rd quarter 2013, for the first time in 5 years. Such minor drop in prices may cause panic, many owners rush to sell their flats before prices fall more, leading to a chain reaction in price drop, OR if the panic may be just temporarily and prices will rise back next year. However, there are no signs to recover. Every quarter of 2014 added 1-2% drop in prices. No significant drop but still enough to make analysts ANGRY that HDB cooling measures were too powerful and requested to be lifted. Note that HDB can also invent anti-cooling measures in case prices drop with more than 10% in one year, and these anti-cooling measures can fail like how most of the cooling measures failed. HDB wants to stabilize prices, a too sudden drop can be disastrous for entire Singapore economy. Stupidity: instead of providing an adequate supply of flats, they kept supply low during 2000s despite of population increase, low number of flats entered in resale market while the demand was rising, then during 2010s HDB artificially slowed down demand for resale flats with cooling measures, and when prices started to drop, instead of keeping supply high and lift the cooling measures, they announced to decrease supply of new BTO flats 24300 units in 2014 to 16900 units in 2015. Idiot decision! BTO launches do not affect resale prices directly so we expect to see prices dropping and further decrease of BTO supply in 2016, thus the 2008-2013 price bubble risk to happen again during 2020s! Personalty I hope that HDB will let the price index to drop slowly to 150 (2009 level), THEN lift the cooling measures, but keep the supply of at least 25000 BTO flats per year. New BTO flat prices won’t fall according resale price index, they were traditionally priced 20% cheaper than nearby resale flat prices, but since 2011 they were “de-linked” and became 30-40% cheaper (even if we exclude grants for first timers) as the HDB anticipated market fall. Even if the prices fall 10% for 3 consecutive years, BTO flat owners will still have profit from selling their flats. This does not apply for DBSS flats which were overpriced at their launch in 2011-2012. Raised income ceiling from $10k to $12k in 2015 may allow HDB to push up BTO prices. 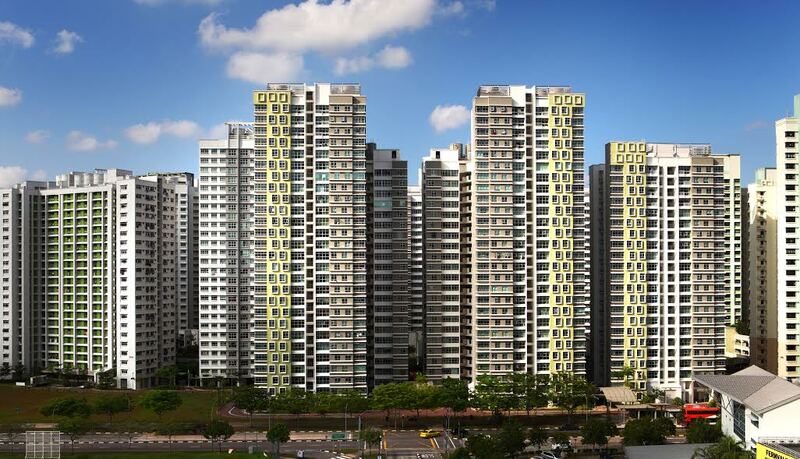 https://kendata12345.wordpress.com/category/4-hdb-bto-flats-price-and-cost-analysis/ – Another website did a detailed analysis of cost of building a BTO flat compared with selling price. He copied my Excel file of BTO prices without my approval. If you could decide HDB flat prices to fall or rise, what you would do? Poll started February 2016. See also results of previous poll (379 votes between April 2014 and February 2015). – Upgrading programmes and upcoming MRT lines also drive up the nationwide resale price index. – The small size of today flats may encourage people to go in resale market for flats built before 1998 (NOT SURE if this push up the resale prices, record of psf is now hold by resale flats built in 2000s). – Prices fall faster in young towns than mature towns, Punggol suffered biggest price fall in late 2013, as results of over-speculation during last years, this after it was the cheapest town in mid-2000s. – In mature towns prices fall faster in the old 10-storey blocks of Queenstown and Toa Payoh that are getting shadowed by the new 40-storey blocks. Yes they are still affordable! Proof: every launch, the higher priced BTOs (better locations) gets most applicants. HDB Website shows application rate. 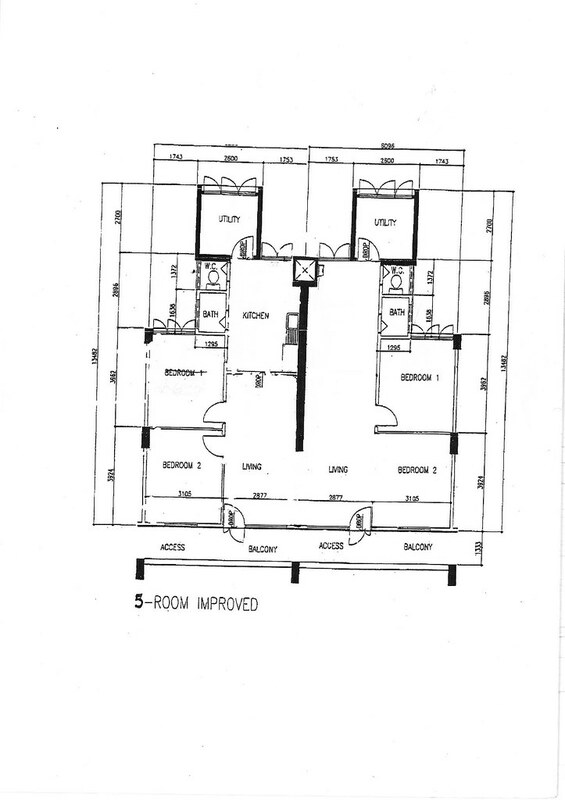 See how 3-room remained unsold and how big is the battle for 5-room despite of higher prices. See the TRUTH about shrinking HDB flat sizes! Between 1995 and 2007, 72 SERS sites were announced. Between 2008 and 2018, only 10 SERS sites were announced, total 7883 flats. At this rate, 306 years are required to replace all 241343 flats built between 1971 and 1980. It is obvious that SERS is highly selective and only a small amount of these flats will be selected for redevelopment. Can we predict future SERS sites? News: since September 2017 I added SERS predictions for EVERY block in HDB map so please stop disturbing me with questions “can block X get SERS”. Just click the block icon on map and see the answer! See also: List of SERS sites in Excel spreadsheet with few extra details. * A completed site is one where all residents have vacated their sold flats. # The replacement flats at Bendemeer Road and Upper Boon Keng Road were offered to the flats owners of Sims Drive (S/Nos. 57 and 58). @ The replacement flats at Jurong West St 64 and Jurong West St 93 were offered to the flats owners of Boon Lay Drive (S/Nos. 63 and 64). During 1990s, the old estates built in 1960s and 1970s suffered from dilapidated buildings, aging population and businesses moving out. On resale market Queenstown and Ang Mo Kio were cheaper than Pasir Ris, one of the cheapest towns today (source: Resale flat prices database). To counter this, HDB launched Main Upgrading Programme in 1990, Interim Upgrading Programme in 1993 and Selective En-bloc Redevelopment Scheme in 1995. 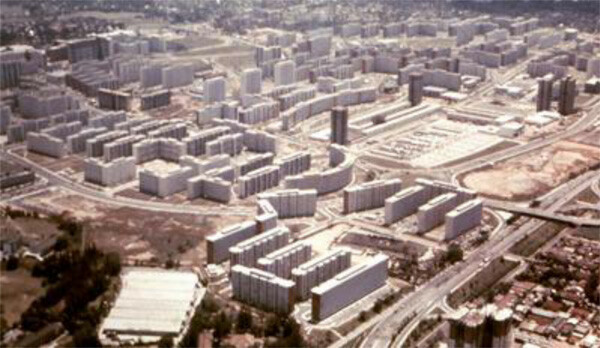 Some of the owner-occupied blocks built up to 1980 are selected for SERS residents are rehoused in new blocks built in nearby location, to maintain community. Usually low-rise blocks with large spaces between them are selected for SERS while dense and tall blocks are selected for upgrading. HDB do not give you a replacement flat automatically, instead they compensate you with the market value of your flat, then you need to buy yourself another flat, which can be bigger or smaller, and you can get profit or need to pay with CPF the difference to the price of new flat. I would like to know how people dealt in early SERS sites, where affected blocks had 3-room flats only and replacement blocks 4-room and 5-room flats sold at much higher price. Since 2004 the residents can enjoy SERS benefits anywhere instead of being limited to the designated replacement blocks. Although small-scale redevelopment of old estates started in 1966, with demolition of single-storey artisans quarters, the mass demolition of rental blocks started in late 1980s. Some owner-occupied blocks may have been also demolished before implementation of SERS. With no dedicated replacement blocks, residents were compensated at market value and moved anywhere they wanted. For example Dawson estate had over 100 blocks but only 3 of them (blk 6A, 6B, 39) appears in the list of SERS sites. Do not say that all others were rental. At least terraced houses were owned. The 1997 Asian Crisis affected demand for flats, resale flat prices in young towns continued to drop by 2006, while in mature towns prices started to rise in 2002 fueled by upgrading programmes and SERS. Between 1995 and 2007, 72 SERS sites were announced. This created widespread rumous among population that any 1960s and 1970s block can get SERS, increasing demand for old flats, people buying 1960s and 1970s flats on purpose to have their block demolished and receive a new flat at subsidized price. As seen in above chart, blocks leased in 1966-1980 are priced higher than blocks leased in 1981-2000. Due to this reason, is no longer viable for HDB to redevelop old blocks, number of new SERS sites announced dropped dramatically. Between 2008 and 2018, only 10 SERS sites were announced, total 7883 flats. At this rate, 306 years are required to replace all 241343 flats built between 1971 and 1980. It is obvious that SERS is highly selective and only a small amount of these flats will be selected for redevelopment in the near future, making impossible to predict which blocks will be next SERS site. I believed that HDB is waiting for the old flats to get closer to their end of lease when their market value will drop significantly, then increase number of SERS sites. On 19 August 2018 HDB announced that only 5% of total sold flats are eligible for SERS, of which 4% have been selected already. For all other flats there will be VERS (Voluntary En-bloc Redevelopment Scheme) that will start in approximately 20 years from now (near 2036 when first leases reach 70 years old). Polls will be made in each precint and they require 75% of owners to vote to go VERS or keep living in their flats until leases run out. Due to rapid and short development of towns like Ang Mo Kio (1976-1982), Bedok (1974-1986), Marine Parade (1975-1978), HDB cannot VERS all blocks once they are 70 years old, so they will be redeveloped stages when they are between 70 and 90 years old. Details such as selection criteria, compensation offered, etc, and how VERS will be financed, are not yet decided, leading to speculation. Think that in 20 years many things can change! Depot Road Estate built in early 1970s was fully redeveloped starting from 2000 except the 25-storey 5-room point blocks. HDB Press Release says this: Blocks 113 and 114 have not been included for SERS. These two point blocks are 25-storeys high with a total of 192 units of 5-room sold flats. Given their existing height, it is more viable to upgrade these blocks than to redevelop them. Hence they have been scheduled for the Main Upgrading Programme by the year 2000, in tandem with the redevelopment works in Phase II. Hillview Estate built in 1977-1978 was the biggest SERS site and most controversial. Originally only the low-rise blocks were scheduled for demolition, but would left three 25-storey blocks in middle of nowhere so they decided to demolish entire estate, being the first 5-room point blocks blocks to be demolished, in 2006 (note: the first 25-storey blocks demolished were blk 3, 4, 5 at Syed Alwi Road, but 4-room, other 25-storey blocks demolished later are blk 110, 111, 112 Bukit Merah View and blk 22, 23 Holland Drive). I heard 3 different stories about reason of demolition. Political stories: opposition ward at elections, so HDB decided to mix the residents in Bukit Batok. Paranormal stories: estate was haunted by ghosts and Pontianak. Army stories: nearby camp had to be upgraded to high security camp and the 25-storey blocks allowed espionage (however the army camp can be viewed also from Bukit Panjang 30-storey blocks). 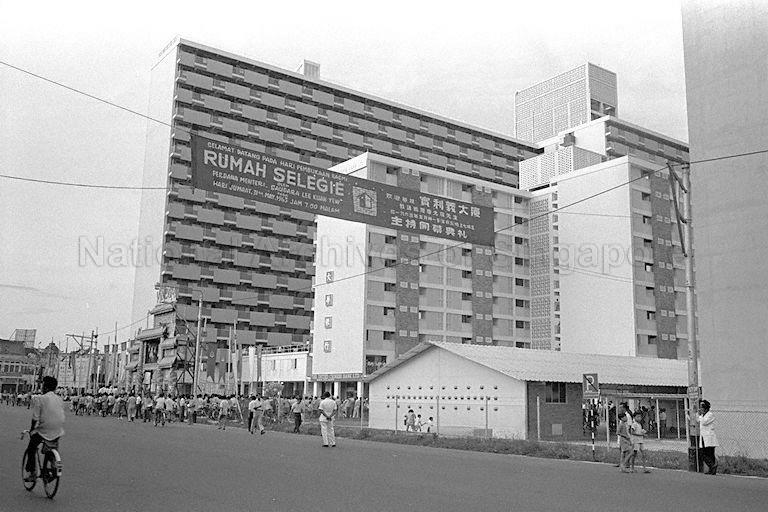 Shortest-living HDB blocks were Bedok South Avenue blk 9, 10, 11, 1-room rental blocks built in mid-1970s, demolished around 1990. – SERS is currently done only where height restrictions allow redevelopment into 30+ storey blocks. Geylang, Hougang, Tampines, etc, are limited to 20 floors or less, so cannot get SERS until Paya Lebar airbase will be closed in 2030. – So far only blocks built up to 1980 are selected for SERS, but this rule may change soon. – Look in HDB Map for lease year, but it is when tenants were allowed to buy flats and does not always mean built year. For example Redhill Close blocks were built in 1955 and leased on 1 May 1983. – Look in Google Earth / Maps satellite photos for blocks with large spaces between them. – Look in URA Master Plan for areas with plot ratio 3.0, 3.5 or higher, but 2.8 areas may be also included. – Look in Enquire status of upgrading programmes to check if the block did not have recent upgrading programmes. 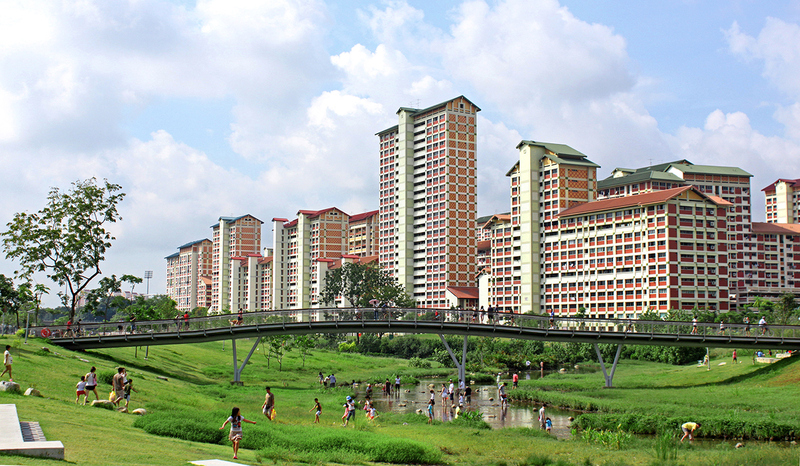 If HDB invested in any upgrading programme, the block will stand at least 20 more years. Clementi blocks 513-520 (IUP 1998, LUP 2008) may have been an one-off case. Depot Road blk 103, 110, 111 built in 1975 and Ang Mo Kio blk 309, 315, 316 built in 1977 were identified for SERS in 1995 and 1996 and demolished around 2000 (after 25 years). As 2018, NO block built after 1980 was identified for SERS, except an one-off case with Punggol Road blk 206 and 207 built 1986 next to blk 1-5 built 1978 (source) and demolished around 2006 (4-storey farmer blocks that were damaging the modern image of Sengkang New Town). Height limit matter: blocks 210-224 built in phase II of Toa Payoh, 1975-1978, having large space between blocks were likely to get SERS and be redeveloped in 40-50 storey blocks, while MacPherson estate built in 1960-1965, despite of being older, was selected for MUP instead of SERS because the blocks were packed close apart, and the proximity of Paya Lebar airbase height limit of 18 floors, do not allow redevelopment in higher density. 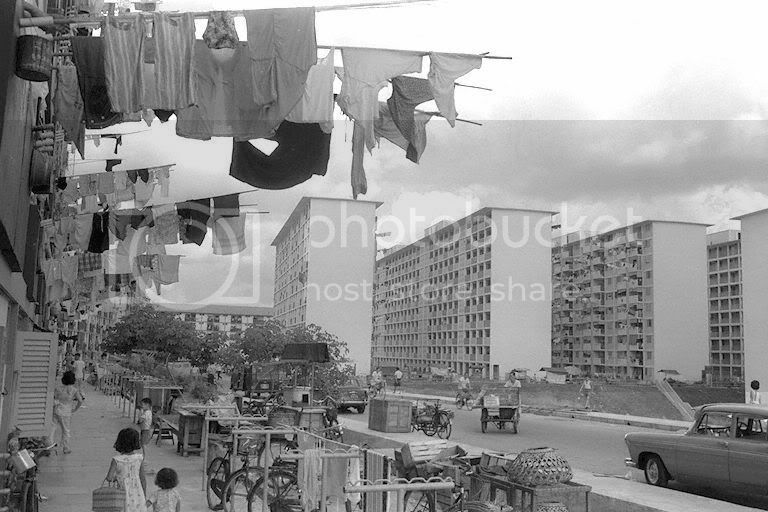 The only blocks demolished in MacPherson were 1/2-room rental blocks, demolished during 1980s. In 2010 I identified few potential SERS sites with NO upgrading programmes, but most of them were meantime selected for LUP (except Toa Payoh blocks 210-224, Tiong Bahru post-war blocks) while only Bukit Merah View, Clementi Avenue 5 were selected for SERS, proving how HARD is to predict correctly. In 2011 Redhill and Boon Lay sites had the first upgraded blocks to be identified for SERS, both not technically feasible for Lift Upgrading Programme). LUP began in 2001 and is scheduled to end in 2014. However, some blocks received lifts stopping at every floor during MUP in 1990s, so they do not need also LUP, making predictions HARDER. But, any block that still do not have lifts that stop at every floor is very likely to get SERS. Anyone who spot such blocks is invited to leave a comment! Surprisingly, the Toa Payoh blocks 210-224 were selected for LUP in 2011, NRP in 2013 and HIP in 2012 and 2014. Why these blocks were apparently reserved for SERS then suddenly HDB done 3 upgrading programmes in 3 years, is a big mystery. Does anyone know what was PAP support ratio in this precint? Future SERS sites is a HDB top secret information, only few employees knowing about this, to prevent price speculation, if there are rumors that a block will get SERS, people will value their flats higher and HDB will need to pay higher compensations. HDB e-service enquire status of upgrading programmes may have errors. In 2010 I checked all pre-1980 blocks one by one and compiled the HDB Database in Excel for purpose of seeing all blocks at once, database which I updated in 2015 checking all blocks including those checked in 2010. Marsiling Drive blk 27-29 and 33-34 showed in 2010 that got MUP in 1997 and LUP in 2004, but now as 2015 the e-service do not show the LUP but only the MUP. Google StreetView confirm the LUP done in 2004. I assume that similar errors exist. I do not have time to counter-check all blocks. You are advised to check yourself Google Streetview and eventually go personally at the block and talk with residents to check possible unlisted upgrading programmes. I listed below over 20 potential SERS sites with no upgrading programmes after 2000. If HDB continue to announce 1 SERS site every 2 years, and they may announce other sites not listed here, each of the below have less than 20% chances to get SERS next 5 years. York Hill Estate, there are 8 rental blocks and 3 ownership blocks (8, 9, 10) which got MUP in 1994 but nothing else. But first HDB need to build enough rental replacement blocks. Someone should check how many units are empty, when majority of rental blocks gets empty, SERS may come for the owned blocks! 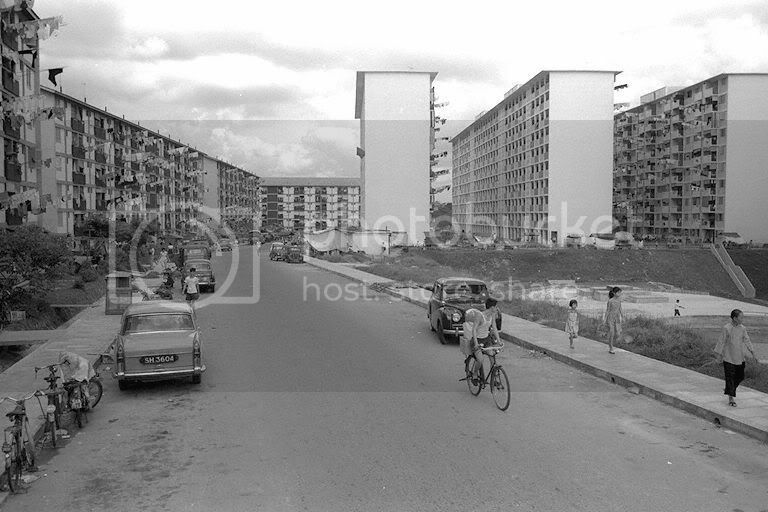 Jalan Batu blocks 1-14 underwent MUP in 1996 but nothing else, they sit on prime land, may get SERS soon. Last SERS site: 2006, so we expect a new SERS site soon. Blocks 207-208, 215-216 underwent MUP in 1998 including lifts that stop at every floor, but were excluded from subsequent upgrades affecting neighbor blocks, together with block 217 1-room rental and nearby carpark, can free a large piece of land. Blocks 303-306, 319-321 also underwent MUP in 1998 and nothing else, there is a rental block nearby (318). No other SERS sites are expected in Ang Mo Kio, all blocks got LUP or MUP in late 1990s or later. Chai Chee blk 30-40 (built early 1970s) underwent MUP in 1993 but no LUP so may be a SERS site, maybe during 2020s. blk 33-34 got LUP in 2012 making entire estate less likely to get SERS. Bedok blk 22-30 got MUP in 1996 then nothing else. No more SERS sites are expected in Bedok, all blocks got LUP or MUP in late 1990s or later. Sin Ming blocks 22, 23 24 got MUP in 1995 and only block 25 got LUP in 2009, this is a sign that other 3 blocks are reserved for a future SERS site (thanks to Low Joo Ling comment). Starting from 2014 I have been asking by multiple people if various blocks in Bukit Batok will get SERS (example: Justin comment). Even if Bukit Batok have potential of redevelopment into 30-storey blocks, there is NO sign that SERS programme will be extended to 1980s towns in the near future, also all blocks in Bukit Batok got LUP, so I am 100% sure that will be NO SERS in Bukit Batok until at least 2030. I think that residents are spreading false rumors! Tiong Bahru pre-war blocks (built 1936-1940) are under conservation and being the place of pilot home ownership scheme in 1964, they are transacted as private properties. They will NOT get SERS. Tiong Bahru post-war blocks (built 1948-1954) are not feasible for LUP due to staircase position. This is a potential SERS site but many people (including me) hope that they will be put under conservation, like the nearby pre-war blocks. Bukit Ho Swee estate received MUP in phases in 1992, 1994, 1996, then the blocks from first 2 phases received LUP in 2006 (probably the 3rd MUP phase in 1996 upgraded lifts too so LUP was no longer necessary), although it does have potential of redevelopment to 40+ storey, the LUP makes SERS unlikely sooner than 2026. Farrer Road blocks 2, 3, 4, 6, 8 got MUP in 1994 and HDB Enquire Status of upgrading programmes says clearly that no LUP was announced. A potential SERS site! However, blocks 1 and 5 got LUP in 2011-2012, the chances to have SERS only remaining blocks are low. Probably all blocks will get SERS in distant future. No more SERS sites are expected in Clementi, all blocks got LUP or MUP in late 1990s or later. MacPherson estate, although built in same time with Tanglin Halt, did not got any SERS to date, because of the proximity of Paya Lebar airbase which limit height to 18 floors. However, the 2013 announcement that Paya Lebar airbase will be closed, and the lack of other upgrading programmes after MUP done in 1993-1994 which included lift stopping on every floor, indicate that SERS will come in distant future. There are 5574 dwelling units in the blocks 21-83 built in 1960s (excluding add-on blocks built 1990s), probably will be redeveloped in 2-3 phases, starting from late 2020s. Taman Jurong blk 116-122 underwent MUP in 1998 but nothing else, may get SERS during 2020s. 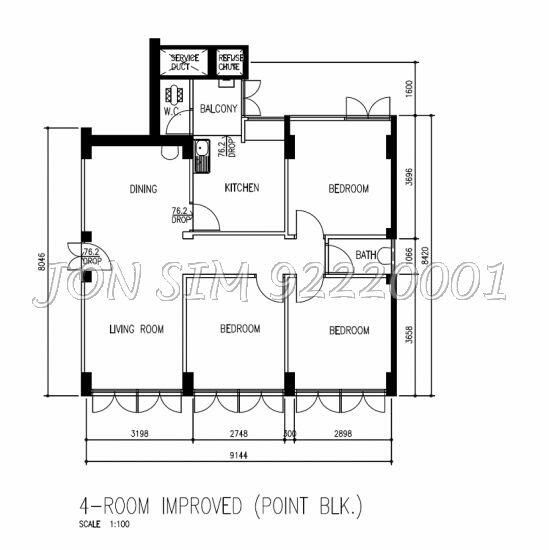 Boon Lay blk 207-215 underwent MUP in 1997 but nothing else, they have very big spaces between blocks thus suitable for SERS, but where the replacement blocks can be built? 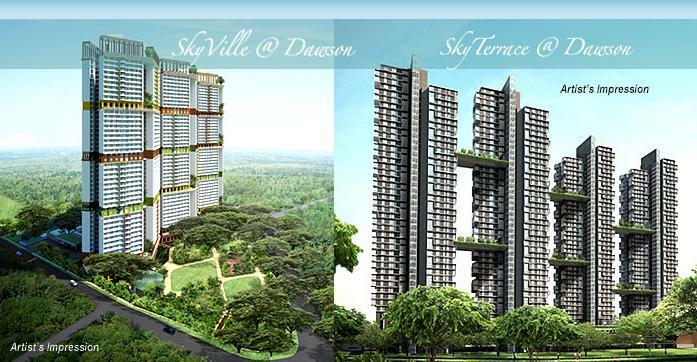 HDB filled all available land in Jurong West with BTOs. Pandan Gardens blk 410-412 did not got LUP in 2009 when neighbor blocks got. They got only IUP in 1994 and as far I know IUP do not upgrade lifts like MUP, so they are likely a SERS site, but how soon? Old Airport Road Estate blk 2-32 were built in 1950s, however these blocks never appeared in HDB resale transactions listings, someone told me in 2013 that all them are rental blocks and many flats are vacant, and in 2014 all news websites announced that will be cleared in 2016 and 15 of 17 SIT blocks will be demolished for an “immediate redevelopment”. Old Airport Road blk 93, 95, 97, 99 built by HDB in 1960s are ownership flats, got MUP in 1992 and nothing else. I believe that they may get SERS around 2017 when the rental blocks will be cleared, the replacement blocks for these 4 blocks may be built here. People informed me that carpark is being upgraded with lift, this lower SERS potential, unless they demolish blocks and keep carpark. Marine Parade is the most expensive 1960s/1970s estate, and due to this reason, SERS is not viable. I believe that HDB is waiting for the leases to be 50-60-70 years old when flat values will be lower, then do SERS. This is likely to not happen before closure of Paya Lebar airbase in 2030s, when height restriction of ~25 floors will be removed. Where can be the replacement site? Commonwealth View and Tanglin Halt, built in early 1960s, underwent MUP in batches between 1992 and 2000, they sit on prime land with potential of 50-storey blocks so may be a good idea to do SERS in late 2010s or 2020s. But due to large number of blocks, doing SERS would take at least 2 decades and is difficult to predict which will be the first to be demolished. Blocks 74-80 were identified for SERS in 2008. After 6 years, in 2014, the big SURPRISE happened! All remaining Tanglin Halt was identified for SERS (3538 flats). We expect Commonwealth (3384 flats) to have same fate in 6 or more years, the replacement site may be in Tanglin Halt which will be demolished around 2021. Mei Ling / Stirling Road blocks 151-164 got MUP in 1996-1998, blocks 167-170 underwent MUP in 1993, both nothing else after, while nearby blocks 165, 166, 168A, 171 that got MUP in 1993 too got also LUP in 2009. This may indicate that the blocks 167-170 are reserved for demolition, or they did not had lifts upgraded during MUP due to costs. 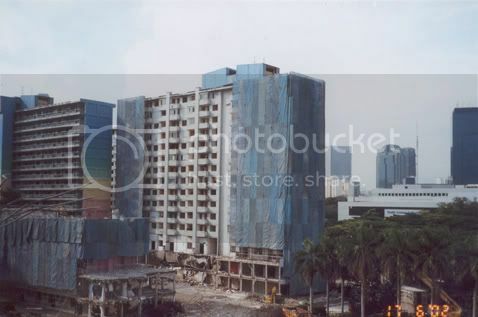 Ghim Moh and Dover all remaining blocks got MUP in 1997, 1999, 2000 and nothing else after, since Ghim Moh blocks 9-12 got SERS in 2006 and demolished in 2014-2015, we expect a new SERS site soon! Last SERS site in Toa Payoh was 2003, so we expect a new SERS site soon. Blocks 1-3 got MUP in 1990 then nothing else, they do not have lifts stopping at every floor, may be a SERS site soon! Blocks 4-15 got MUP in 1994 then nothing else, don’t know if lifts stop at every floor, may be included in same SERS site. Blocks 34, 38, 47, 51-53, 56-61, 107-128, 158-163, 168-174 … got MUP in 1993-1995 and nothing else, are also candidates for SERS but not in near future, may take 10-20 years to replace all them, nobody can tell which ones will be first. Blocks 91-100 also got MUP in 1995 and 3 of them (91, 94, 95) got also LUP in 2006, I would not have counted them in SERS until September 2017 someone informed me that the remaining blocks do not have lifts stopping at every floor. Not being selected for LUP despite of being eligible, may indicate a future SERS site (together with rental blocks 103-106)? One of the biggest dilemmas is the SERS potential of SIT terraced houses in Stirling Road and Jalan Bahagia. Lots of terraced houses were demolished during 1990s but the fact that after 2000 no more were demolished may indicate that HDB is willing to preserve these two clusters of terraced houses, how long… nobody knows. The floor area of these houses vary from original 84 sqm to over 200 sqm, if they will get SERS, HDB need to compensate owners with record sums of money, which will give owners too much profit compared with the price of a new HDB flat, which will be much smaller. Probably HDB is waiting until near end of lease when their market value will be lower. I wish to know what was the process of demolition of terraced houses in Dawson estate in late 1990s, since they are NOT included in official list of SERS sites but they were owned thus owners had to be compensated some way. Government announced in 2013 that Paya Lebar Airbase will be closed, and according a Wikipedia editor that its edits are being reverted in SERS article, this will happens in 2026, but officially there is NO announcement about closure date. This will eliminate height restriction and make potential SERS sites the MacPherson 1960s estate as well as large areas in Geylang and Hougang. I am questioning if the 280 meter nationwide height limit will be removed too. June 2012: added info about replacement blocks for 2005-2007 SERS sites from archive.org, as well as the number of units for all 2005-present SERS sites. October 2012: added info for 1995/1997 sites from archive.org. I can add built year too. I should expand the table (number of columns)? Suggestions are welcome! July 2014: I found that HDB added on its official website the complete list of replacement blocks (this happened since early 2014, but I was not aware of). I remade the table, deleted from website the additional info such as number of units and Deadline. If you are interested in this info you can view it in the XLS version of above table. I am Teoalida and I love doing research, collecting information, writing articles and making databases about real estate, cars, and other fields, as well as designing own housing models. Also playing games with buildings. I made this website since 2009 to showcase my works, share knowledge and educational material, promote my services, and make new (business) friends. All the articles, drawings, 3D models, Word and Excel databases, are my personal work. Except the photographs from Housing around the World section, which are linked to their original source, and the HDB brochures. I also have few partners in programming, architecture and real estate agents, to cover additional fields and serve more customers when I am too busy. If you want to be partner with me you are welcome. I love exploring the world to study architecture, housing and living conditions, and write articles. While articles themselves do not produce money, they help home seekers, students, researchers and some businesses, increase website audience and occasionally people offer to pay me to do other works. Currently I have 12 pages with general information for various countries/regions: North America, Latin America, Europe, North Korea, South Korea, Japan, China, Hong Kong, Singapore, Malaysia, Vietnam, Philippines, India, Africa, plus over 20 pages with detailed information about Housing in Singapore and 7 pages about Housing in Hong Kong. My dad is using AutoCAD since 1995, I learned AutoCAD myself while watching him working and made my first drawing in 1998, over years I made numerous drawings from personal interest (hobby) as well as working for my parents or for customers who contacted me via this website. The interest for architecture dates back from childhood but in 2008 I started studying it seriously, making “Teoalida’s Virtual City” with dozens apartments and house floor plans and 3D models designed in AutoCAD, some been inspired from various housing around the world, some being my original concepts. Apartments ranging from 30 sqm 2-room studio to 200 sqm 6-room, based on an average 25-35 square meters per capita and 100 sqm average apartment size. Starting from 2010, I completed the Virtual City with landed houses too, detached, semi-detached, terraced and cluster houses (landed condominiums), ranging from 50 sqm 2-bedroom to over 400 sqm and 7 bedrooms. 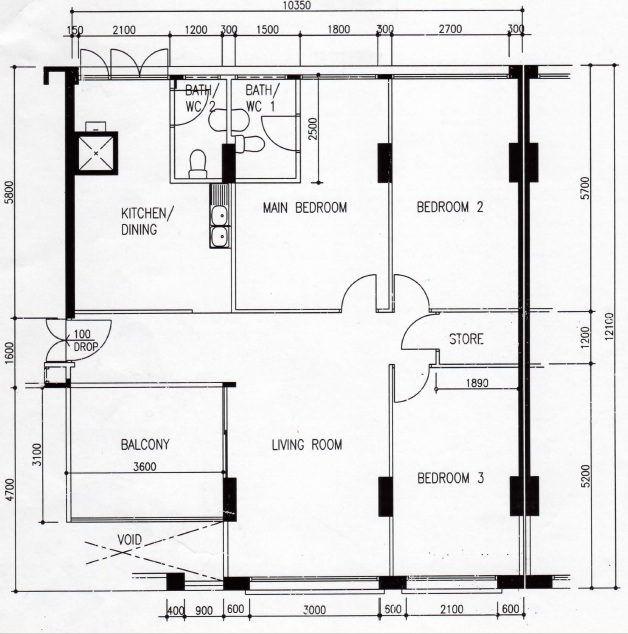 My experience was originally limited to making highly efficient floor plans and 3D models, but later I learned to make “construction drawings” by laws, fully-dimensioned floor plans, elevations, sections, as required for building permit. Although designed primarily for artistic purpose, they are fully livable homes and can be built (virtual city = because I am not a developer, I don’t have capital to build them). The “Virtual City” 3D artistic hobby, have impressed people dreaming to build a house but also architects, turning into business since 2012. Many people advised me to pursue a career in architecture, but contrary of what most people think, I never been able to earn enough from architecture. 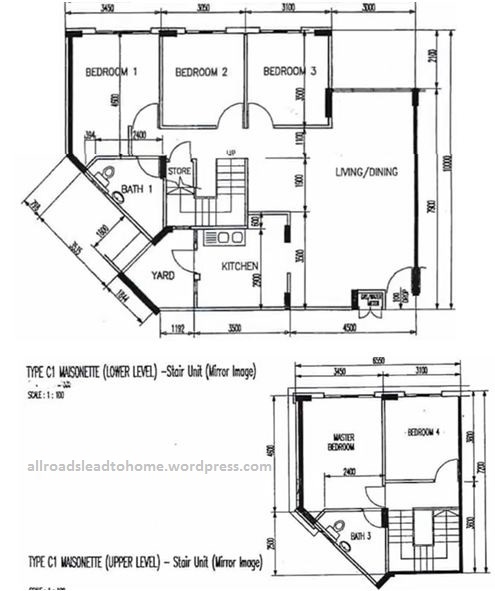 Lots of bad customers from third-world countries ask me to do floor plans for free, do not want to pay an architect, and the few paying customers usually waste too much time for the little money they pay. Furthermore, database services turned to be more profitable, so I have no reason to continue my career in architecture, I decided in 2015 to NOT do any more projects, unless there is a special case. If you are building a house or apartment block and need drawings I can link you with licensed architects from various countries. 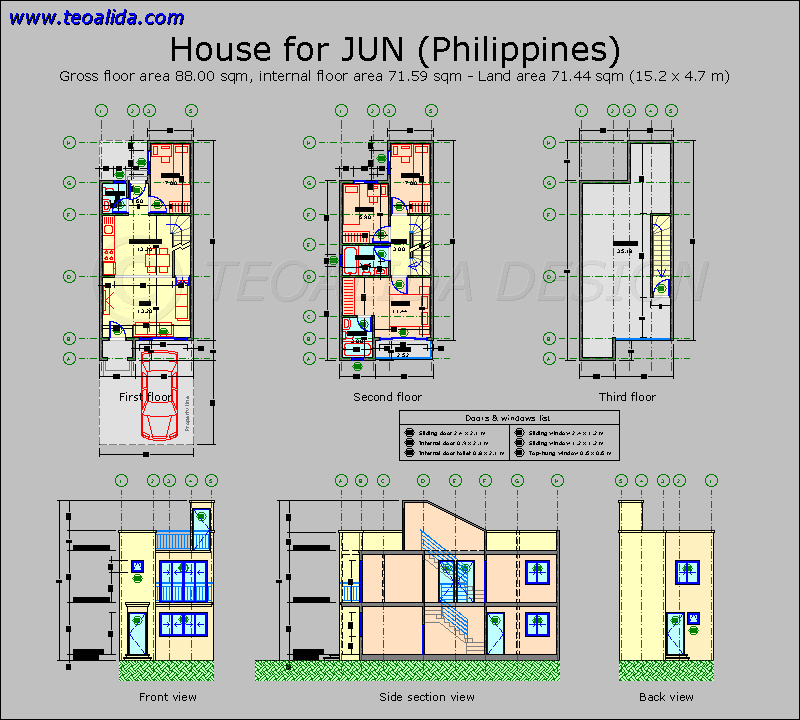 DO NOT ask for house plans if you cannot PAY for service! Probably the most beautiful piece of art that I ever made in AutoCAD, this 3D model is a virtual reconstruction of a REAL, abandoned building, which today was left in ruins. Originally designed voluntarily in 2006, I improved it in 2009 and 2014 to show you my abilities of 3D modeling in AutoCAD and geometry design. There are several architecture software (ArchiCAD, Blender, Revit) that can do better job than AutoCAD, but the little money earned do not justify buying more licenses. If I design buildings why I would not design 3D models of furniture and interior design too? 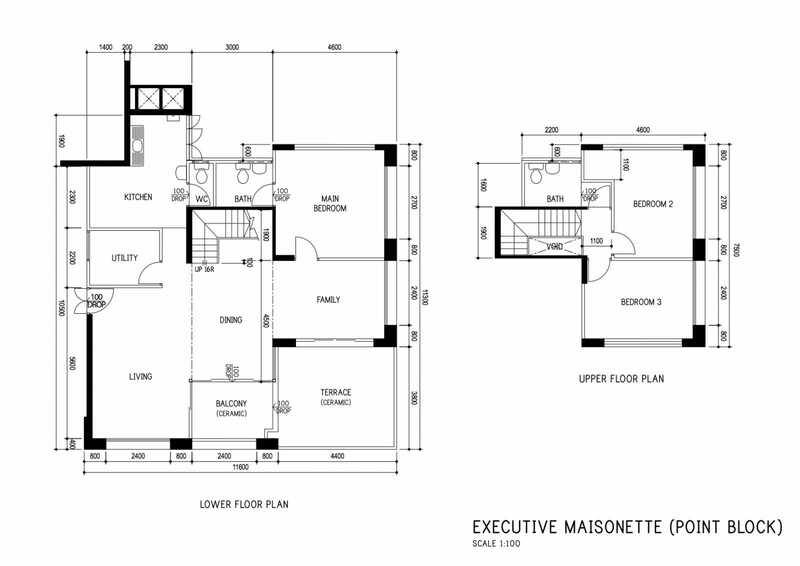 I do not have experience in interior design as high like the experience in architecture design. I am using Word since 1997 and my dad encouraged me write book-like things, but I learned also Excel myself and since 2003 I am using it more than Word, and today working in Excel represent my primary source of income. For many years, manual data entry in Excel (sourcing from books, as seen in this video, or manual copy-pasting from websites), was my only way of creating databases. A slow process which limited the size of the databases I could make. Even in this slow process I made about 40 databases about cars, geography, real estate, gaming, etc, from pure hobby. Starting from 2015 I learned web scraping, meaning programming a software to visit a list of given pages, copy specific data and put it into a CSV spreadsheet automatically, allowing me to quickly create new databases and sell via my website. 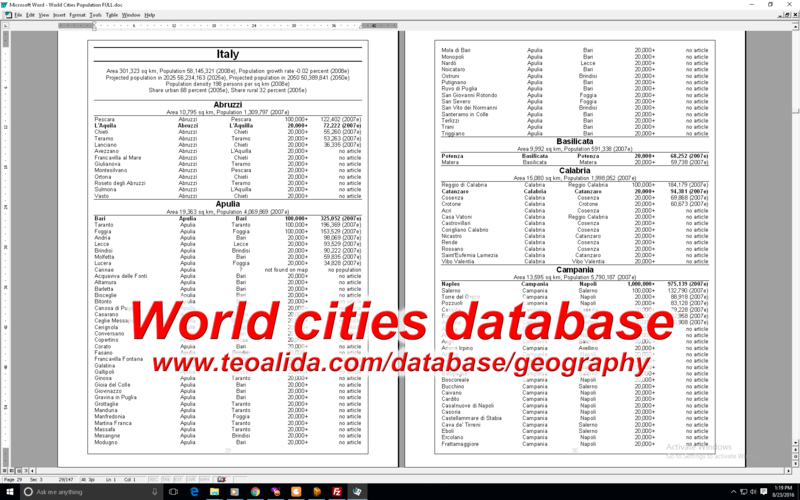 – The Geography works, country area and population, list of cities, etc, made in 1998-2005 writing data manually from Microsoft Encarta Encyclopedia, abandoned after connecting to internet in 2005 and discovering Wikipedia. Improved and published on website for first time in 2015. – The Music Database with song ratings according my personal preferences, one of the most USELESS things that I ever made, started in 2005 and as 2016 still expanding it. – The Skyscrapers Database, made in 2015, one of my first databases where I used a program to automatically scrap data from a website. – The Mobile Phone Database, made in 2016 via web scraping. What will be the next database to do? 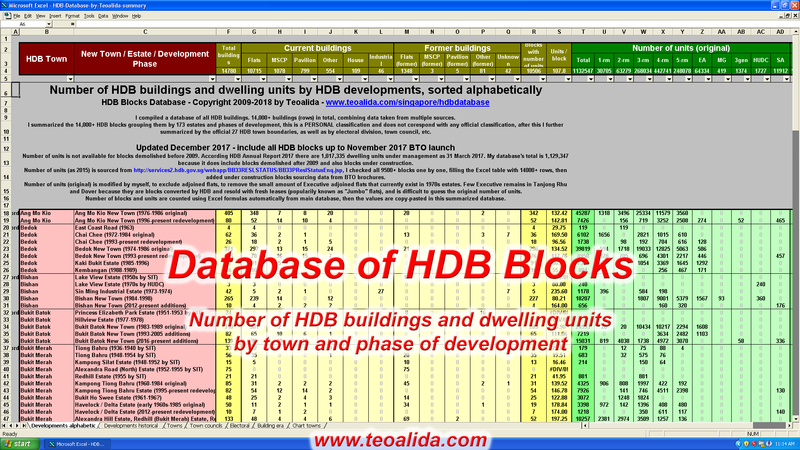 One of my biggest research and data mining projects is the Singapore HDB Database, a table of 14000+ buildings with block number, street address, postal code, year build, number of units breakdown by flat type, upgrading programmes, etc. An original compilation of data centralized from multiple sources plus own research. Started in 2009 from personal interest and put ON HOLD because the potential of turning into a business was under question, after discovering potential of Car Database, I resumed working at HDB Database in 2014 and finalized in 2015, after hundreds hours of work, it has been purchased by several real estate companies, home insurance, telecommunication, door to door services, etc. In addition of HDB original research, I am offering Condo Database made via web scraping, and HDB Resale Flat Prices Database that include over 60 charts made in Excel. Another project is the Hong Kong Housing Database, table with 1000+ public and private housing estates, made in 2011 for an insurance company (my first large project done at customer request and not as personal interest/hobby). Due to my passion for automobiles and obsession for doing research, tables and statistics, I started in 2003 a car encyclopedia, several lists in .DOC format and tables in .XLS format which allows you to sort and filter car models. This include a table with 20000+ car models, detailed with 50+ columns of technical data, which required over 1000 hours of work! The hobby turned into a business since 2012, but only after extensive transformation to make my hobby-made databases suitable for the unexpected audience. Since 2015 I created additional car databases via web scraping. Every year, over 100 companies, primarily from Europe and America, looking for a complete, accurate and frequently updated vehicle database, are buying my Excel tables. “Teoalida’s Cars” are not very modern or sport cars, but they are designed with as many details is possible, and rendered with all photo-realistic effects available in AutoCAD, to showcase my skills of 3D modeling. I no longer design cars. Last car I designed was in 2007 (photo). Between 2004 and 2007 I voluntarily designed artistic maps for Ploiesti and nearby towns, vectorial drawings in AutoCAD then colored in Paint, but this turned in a high-effort job with no much usage and generating too little income. In 2009-2010 I also made a very basic map of Singapore in AutoCAD which I published on website in 2016 and we will see if there is sufficient demand from people to worth completing it with more details. Many architecture students who love games, do play The Sims game. Me too, I play The Sims series since 2003 and The Sims 2 became my favorite game, in which I practiced urban planning talent by building large neighborhoods with non-functional apartment blocks in 2006-2008, before moving to architecture in AutoCAD. I also built over 50 functional houses which I offer for free download on my website. I am not saying that I am a web expert, but I made my website myself without any professional help! I have high SEO knowledge that helped my website to be on 1st page of Google for dozens of keywords and raising traffic from 100 visitors per day in early 2012 to 800 visitors per day in 2014. I do not know PHP yet so I cannot make complex websites on custom-made platforms. In terms of coding and programming, my knowledge is limited to HTML, CSS and WordPress platform. 90% people do not even know these basic stuff, so feel free to contact me for any help related to website building, promotion, optimization, etc. 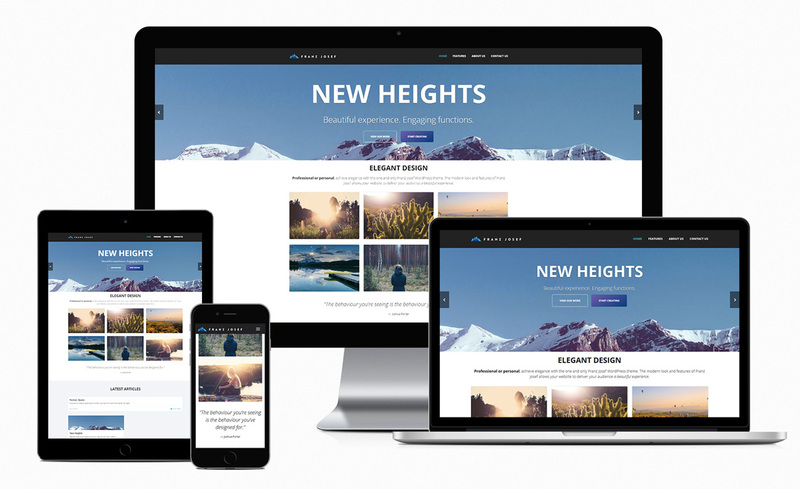 Over years I made several friends in webdesign which I can give your projects to, for higher quality results. Why did you made these projects? What is your profession / primary job? Short answer: I created website in 2009 as portfolio of my building designs made after a deep research on Singapore housing, and post in freelancing websites hoping to get customers in AutoCAD, but I did not won any project so I aborted. Few months later I decided to publish the research too to increase audience and serve Singaporeans with free information. Early works were made from personal interest (voluntary, hobby) rather than for a specific customer. Once I found live chat software in 2012, website visitors started to hire me for various projects and helped me to understand market demands, so I abandoned most of non-paid hobbies to focus on customers. In 2015 I exceeded $1000/month, website traffic and number of customers became higher than what I could handle myself. I never had a full-time job. I fill my time by working for customers paying me to do various projects, or projects done from personal interest to publish on website for sale, or voluntary projects that help large number of people with free information. If you want me to do a project privately just for YOU, you should PAY me! As 2018, per month the website have ~40,000 visitors, ~500 contacting me via chat or email, ~50 buying something or paying a service, while the rest are thankful for free information offered on website. I am selective to best-paid projects or projects that can be published and sold to multiple customers, avoiding spending too much time working privately for single customers. If you want a large work “just for you” outside of my personal interests I can connect you with my partners offering services cheaper than me. Posting ads on such website selling products or services is stupid. Ads are good for non-profit websites with large traffic. Is estimated that at 40,000 visitors per month I can earn $200 per month from Google AdSense. But 99% people may be disturbed by ads, including customers that may see ads of competitor services, and I will lose more $ than what I earn from ads. What is all this mix of stuff on same website? Are you CAD designer, researcher, database provider, gamer, or…? I am ALL OF THEM! This is PERSONAL website and my life is very diverse! Several people suggested making separate websites, one for Singapore housing, one for CAD services, one for database services, etc. This will reduce traffic on websites promoting services. Having all them on same website is an advantage, Singapore pages getting lots of traffic plus Facebook likes and tweets helped services pages to appear higher in Google, also some drawings and databases are related to Singapore housing. Then, I got several collaboration offers from foreign companies who did not visited /design or/database sections directly, they found my website while looking for info about Housing in Singapore or Housing around the World then clicked About me page, saw that I am also in architectural design and data research and contacted me for paid work. Where is your office located? Can I book an appointment? I work from home ONLINE to people from all over the world, as typical freelancers do. I do not have any office and I usually do not meet customers. Even if you live just few kilometers away from me, I prefer to not meet in real life unless is absolutely necessary. If you need to employ someone to work at your office, or travel somewhere, I am NOT the right person for you. Do you get paid to chat with people? Do you help people for free? I am NOT employed, affiliated with any government or company, or get paid “to help people”. I am independent, this is my personal website and only YOU can pay if the consultation or services offered helped you! This is valid especially for Singaporeans, if consultation with me made you to decide to buy a $500,000 property, I appreciate if you can donate me few dollars. While chat consultation is FREE, research, drawings and database services are NOT FREE. This is how I make a living. If you are NOT PAYING for any service you are advised to not waste too much time chatting (as these kids did).